Is the sun planning something spectacular? 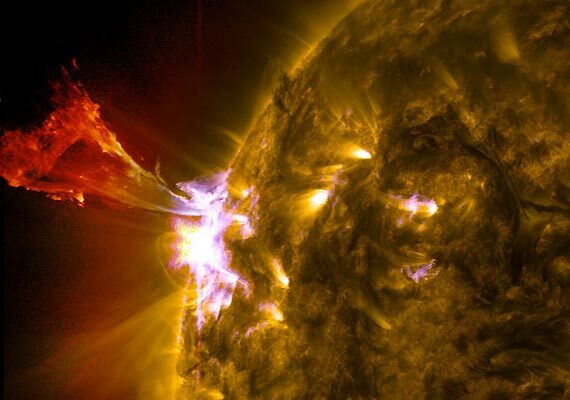 Most recently, an X1 solar flare emitted Saturday which caused radio blackouts, along with satellite and GPS disruptions. Although there were a few subsequent CMEs, most of the material was not Earth-bound. In the coming days we expect much more, but how much more? We at the CME Research Institute are trying to find out if these events are isolated or are they pointing to another Carrington-like event, which as we have warned in the past, would be so detrimental to our Earth’s technology that we would literally be brought back to a new Stone Age. We will bring you more as we learn it. A CARRINGTON EVENT IS COMING! Are we at the brink of a solar apocalypse? robert jones on Is the sun planning something spectacular?